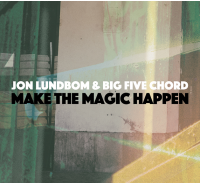 Throughout 2016 Jon Lundbom & Big Five Chord will be releasing four digital download EP’s, with a view to releasing them as a CD box set at the very end of the year. We’ve had the pleasure to hear the first two, both of which contain the band of Jon Irabagon (alto saxophone), Balto Exclamationpoint aka Bryan Murray (tenor saxophone, balto! saxophone, prepared saxophone), Moppa Elliott (bass), Dan Monaghan (drums) and Jon Lundbom (guitar). Make The Magic Happen starts with the confident and sassy ‘Ain’t Cha’. 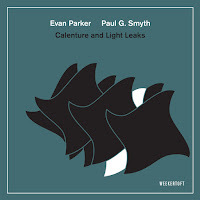 Sporting a nicely worked contrapuntal horn arrangement for the melody, whilst the guitar bubbles away under the surface against the solid backdrop of the rhythm section, with Balto Exclamationpoint (Bryan Murray) left to his own devices to stretch out and solo over. His horn solo starts off by initially dancing around the groove until by the end the improvised line is eventually wringing out every last drop of expression it can muster. Lundbom then takes up the baton and continues where he had left off. Chromatic passages mixing it up with free-funk motives and a gradual and well-worked development of the material that eventually leads to a noise based saturation point. 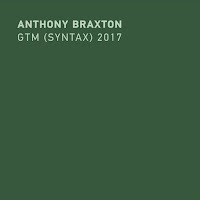 The phrasing in the playing is a real joy and the way it sits within the rhythm will have you toe tapping before the track is out, worth getting just for this piece. 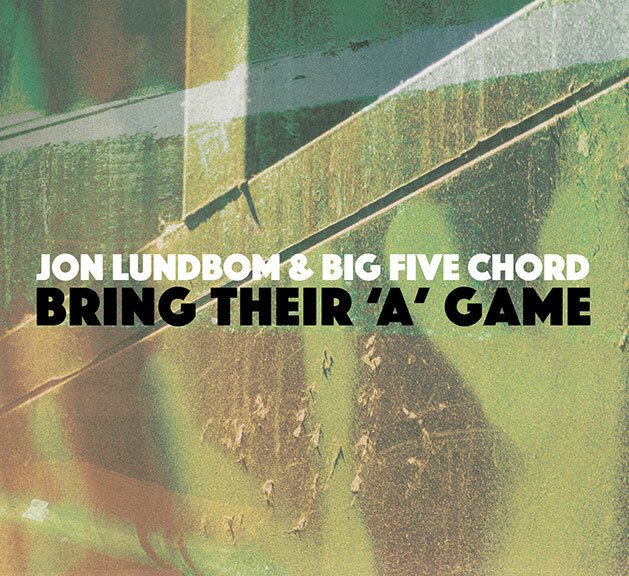 ‘La Bomb’ is a dirge, again starting with a short full band arrangement before Lundbom’s guitar heads off into a perpetual motion of rolling phrases that tumble over the skitterish percussion and solid bass, giving an effect that there are three different tempos briefly playing. 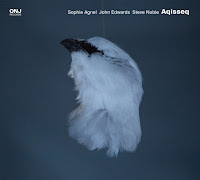 This then disperses leaving the sorrowful multiphonic ornamented horn solo gradually gaining in momentum and intensity. The last track is Ornette Coleman’s ‘Law Years’, which after stating the initial theme is then opened up by the bass to take centre stage before the prepared horn joins for some right royal honking! Bring Their ‘A’ Game also contains three longish tracks coming in under the half-hour. These pieces are structurally similar to the previous EP, with theme based band arrangements starting the pieces before the soloists take up the mantle for the rest of the track. The first (‘Wrapped’) and last piece (‘W.R.U’, another Coleman composition) have an up-tempo, free-boppish, time no changes feel to them which Lundbom beautifully exploits in his solo before returning to the theme half-way through ‘Wrapped’. 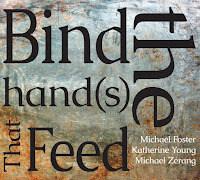 The second piece ‘Worth’ has a slow schmaltzy feel to it, with the horns sounding one minute like air-raid sirens in their long drawn out solos before mixing in chattering and shrieking phrases. 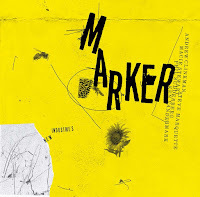 The emphasis on both of these EP’s is clearly on the tracks as a vehicle for improvised solo melodic lines and there is plenty of space for each of the soloists to stretch out and express themselves. As usual Jon Lundbom shares the limelight with his talented band making the music much more than just a guitar-centric outing. However, there is some great playing from the guitarist across these two EP’s. 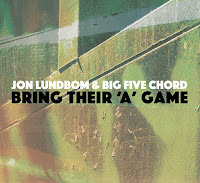 Each of the EP’s can be exclusively obtained from www.JonLundbom.com as they become available.